Prince William and Kate Middleton were married in a fantasy-wedding ceremony at Westminster Abbey in London on April 29, 2011. There were many charming moments — from the star-studded guest list to the bride’s gorgeous McQueen gown and the carriage processional. 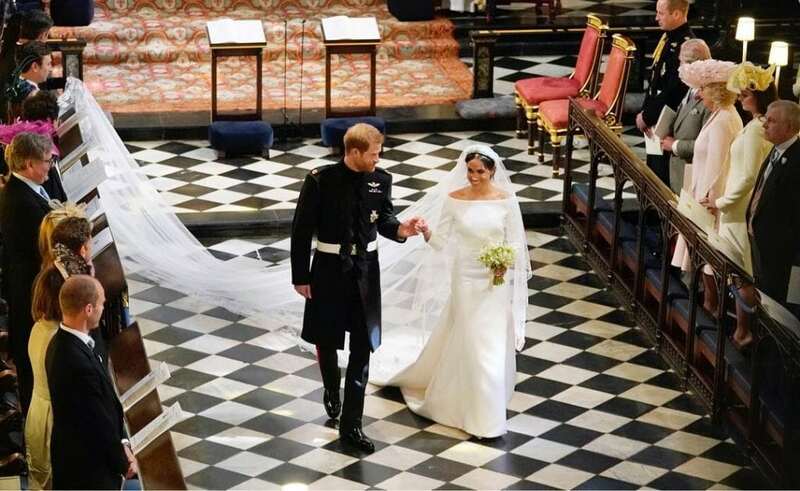 The Duchess of Cambridge’s wedding dress, designed by Sarah Burton for Alexander McQueen, featured lace applique floral detail and was made of ivory and white satin gazar with a nine-foot train. Kate wore a Cartier “Halo” tiara was loaned to the bride by the Queen, a tradition for royal weddings. Kate’s diamond earrings were commissioned by the Middleton family as a personal gift to the bride from her parents. Meghan is one lucky woman. She got married to two different men in two different dresses in the same year! In real life, she married Prince Harry and on TV she married Mike Ross. Her marriage to Prince Harry took place on May 19, 2018, at Windsor Castle. On the morning of her wedding, she received the title of Her Royal Highness The Duchess of Sussex. She wore a classic Givenchy Wedding gown which reportedly cost $135,000.